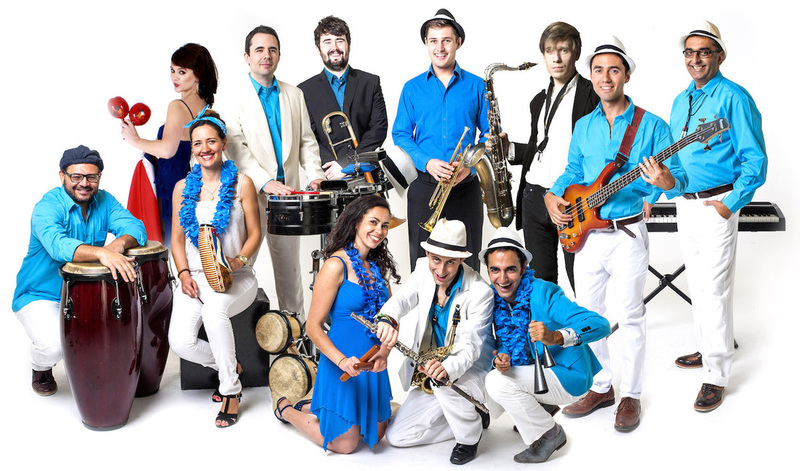 Diáspora is a contemporary and versatile Latin band, creating fantastic live entertainment for parties, weddings, events (private & corporate) and venues and festivals. Since 2009, the band has been continuously developing their own unique brand of high quality live entertainment in response to the requests of their agents and promoters, by adding different musical elements to the large ensemble such as dance, DJ, jazz and string quartets and guest artists, and broadening their range of repertoire. Based in London UK, they are able to travel nationally and internationally if booked far enough in advance. With the highly sought-after brass section (alto saxophone, tenor saxophone, trombone, trumpet), full suite of vocalists and percussionists, piano and bass, the full band really is the headline act! The medium-sized band provides a more affordable option for smaller events. The small band can play a vibrant mix of salsa and Latin jazz for more intimate settings and occasions. Diáspora also offers a range of in-house support acts at a discounted price to further enhance the event. 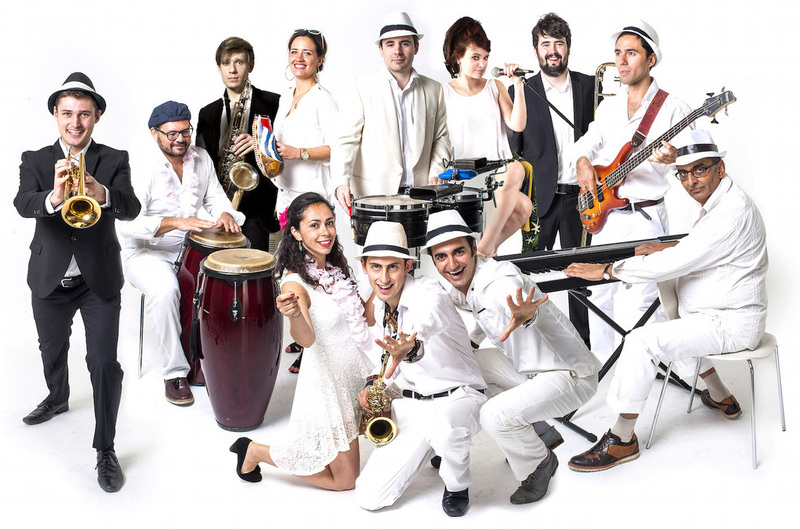 These include jazz and string quartets salsa dance classes, Latin DJ sets and guest vocalists. To quote cost, all you need to provide is the postcode of the venue or the nearest town. To quote availability, all you need to provide is the date that you would like us to perform. The band perform anything up to 120 minutes (2 hours) divided into sets as standard, so you can be guaranteed for a good time! The band comes in a range of 8 sizes, from the full 12-piece band right down to the small 5-piece band, and also offers a smaller band Fiesta Latina. The band offers a choice of 3 colour choices for the Cuban setup "Changó" (red), "Yemaya" (blue), "Obatala" (white) plus a "Brasil" (green) colour choice for the Brazilian setup. Guest vocalists prescribing specific sets of repertoire can be booked as part of the band at no extra cost if requested before booking/contract (subject to availability). Alternatively, guest artists and request songs are available after booking/contract at a small charge (see Playlist page for details). Everything else you need to know about bookings is on Red & Black Music (www.redandblackmusic.co.uk). To find out more about booking the band, email diaspora@redandblackmusic.co.uk. Due to the popularity of interest, the band does not take verbal enquiries and all pre-booking/pre-contract correspondence is made in writing to ensure 100% accuracy of information. Thank you for your understanding.